1. This storage nook built into the wall. Designed by Scenario Architecture. Photography by Matt Clayton. 2. 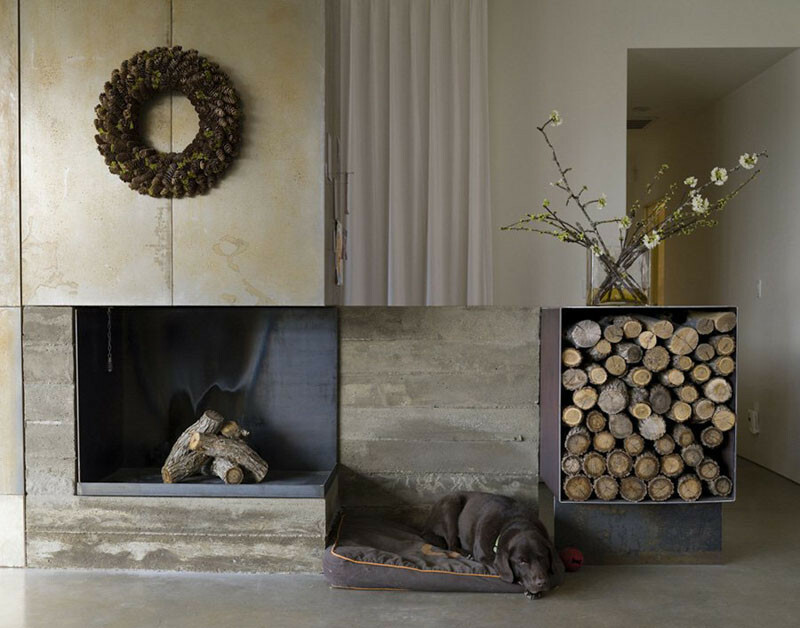 Wood storage surrounds this fireplace. 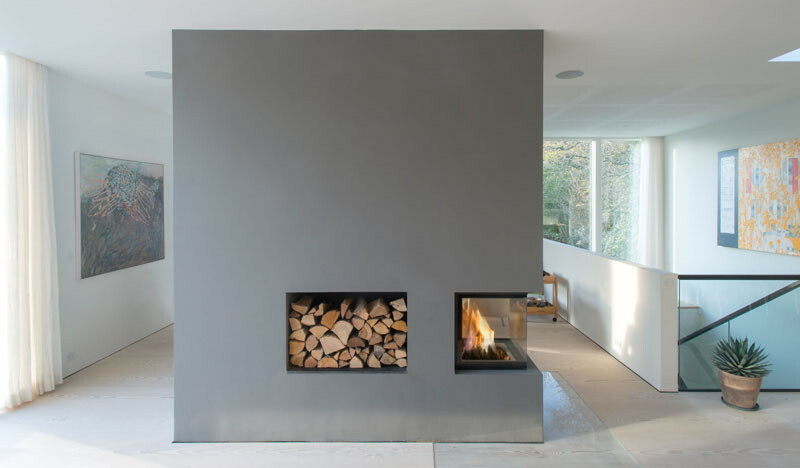 Designed by Strachan Group Architects with Rachael Rush. Photography by Patrick Reynolds. 3. This wood storage is built into the surrounding cabinetry. 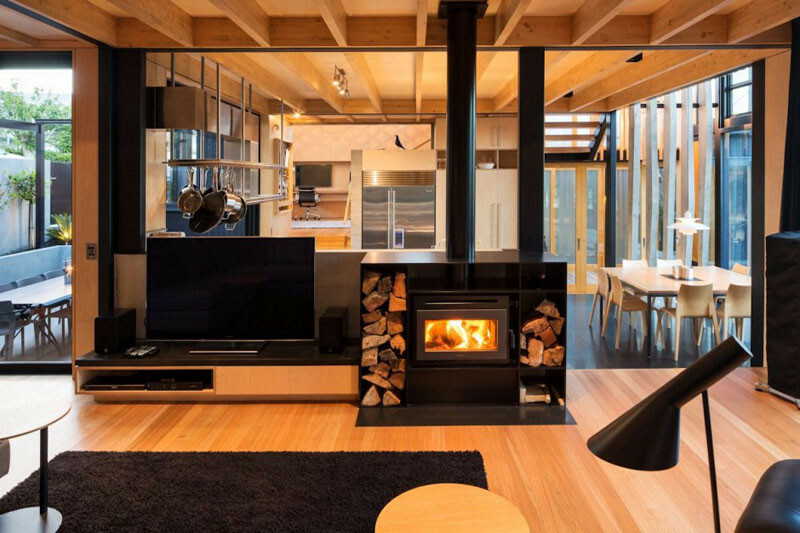 Designed by MAC Interactive Architects. Photography by Murray Fredericks Photography. 4. This wood storage incorporated into a bookshelf. 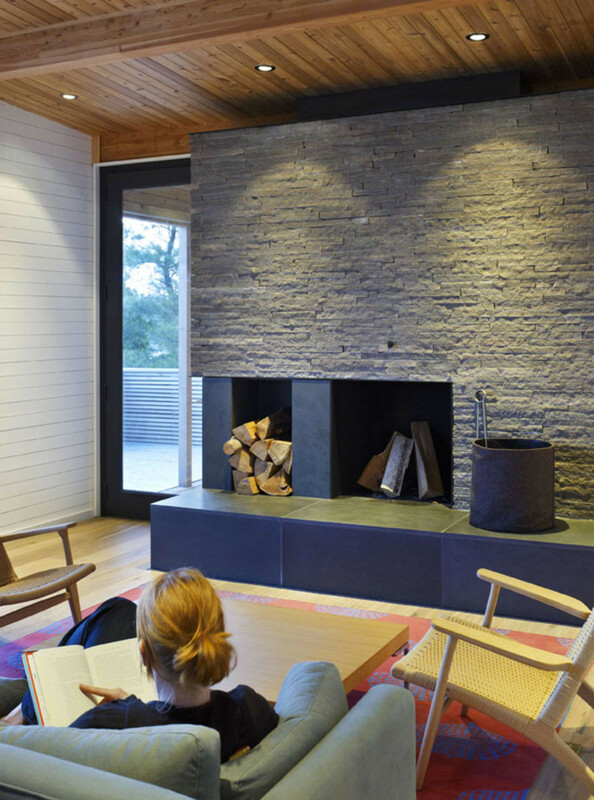 Designed by Carney Logan Burke Architects. Photography by Audrey Hall. 5. 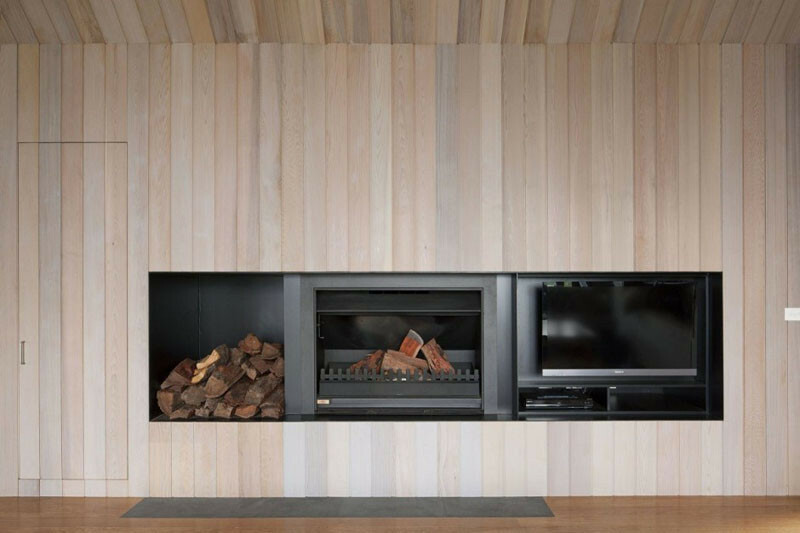 This wood storage has been built into the fireplace support. 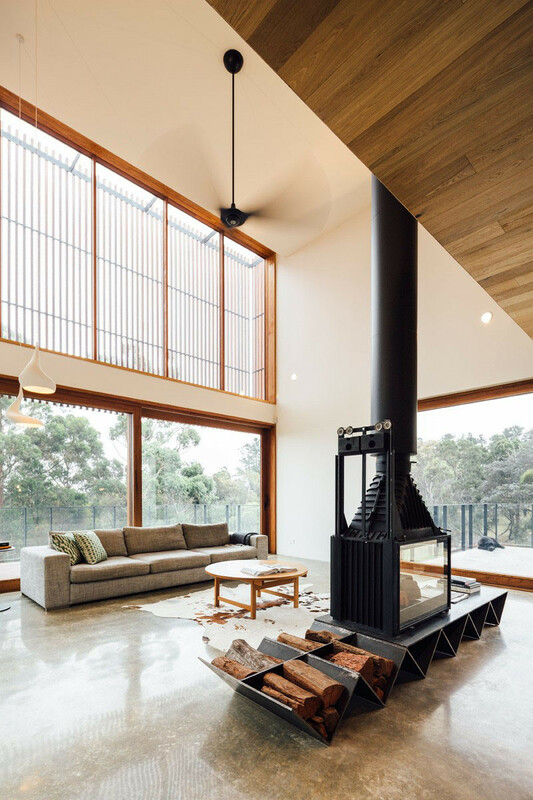 Designed by Moloney Architects. Photography by Michael Kai. 6. 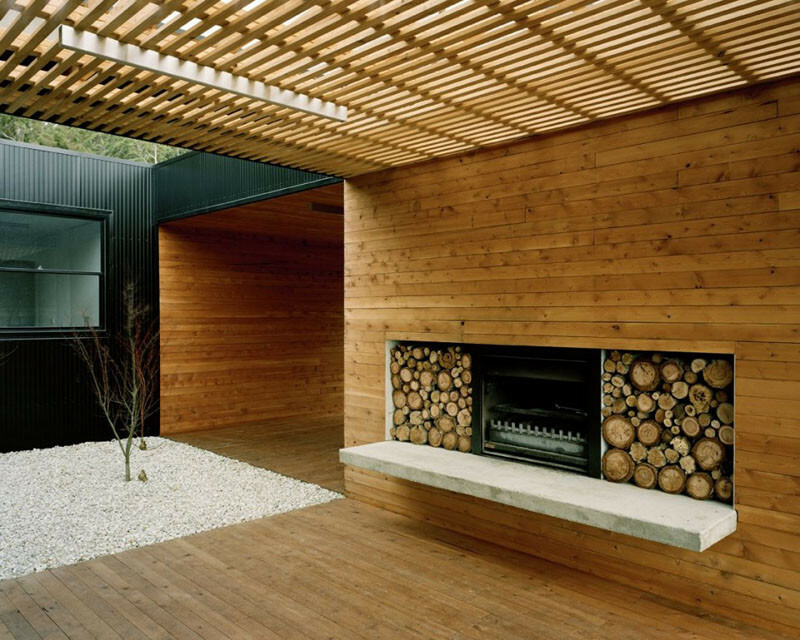 This outdoor fireplace has floor-to-ceiling wood storage. 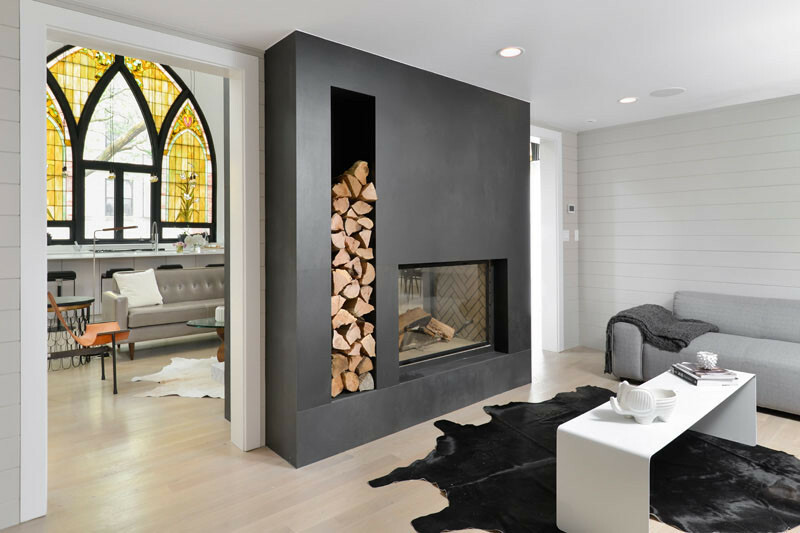 Designed by Casas Design + Architecture Studio. 7. 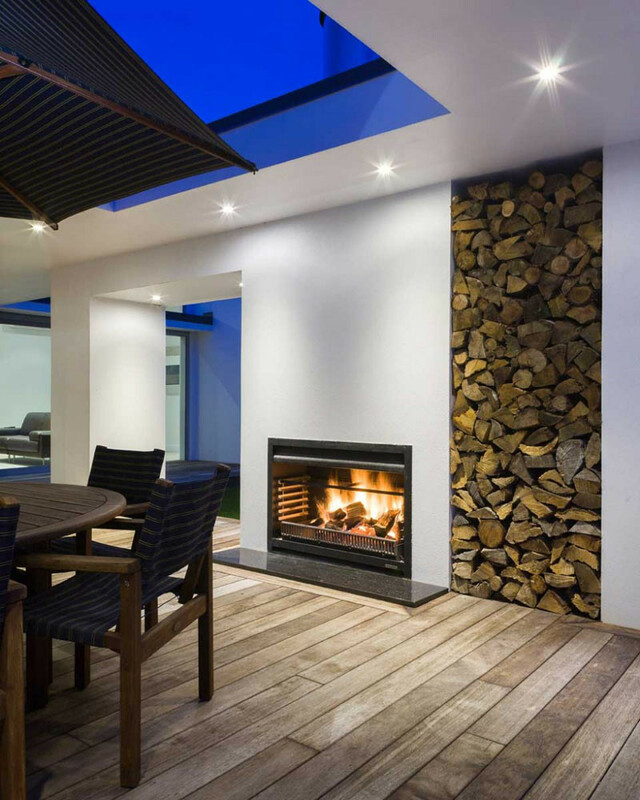 This indoor/outdoor fireplace has wood storage that can be accessed from either side. 8. Wood storage for a minimalist look. 9. 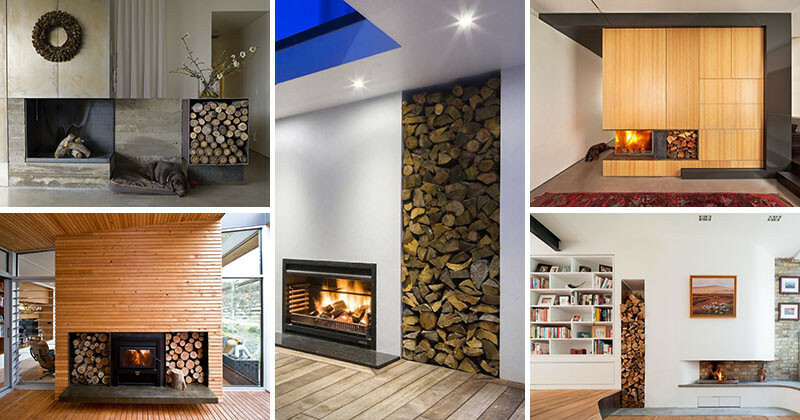 A streamlined solution for wood storage. Designed by Jackson Clements Burrows. Photography by Shannon McGrath. 10. This standalone steel wood storage box. 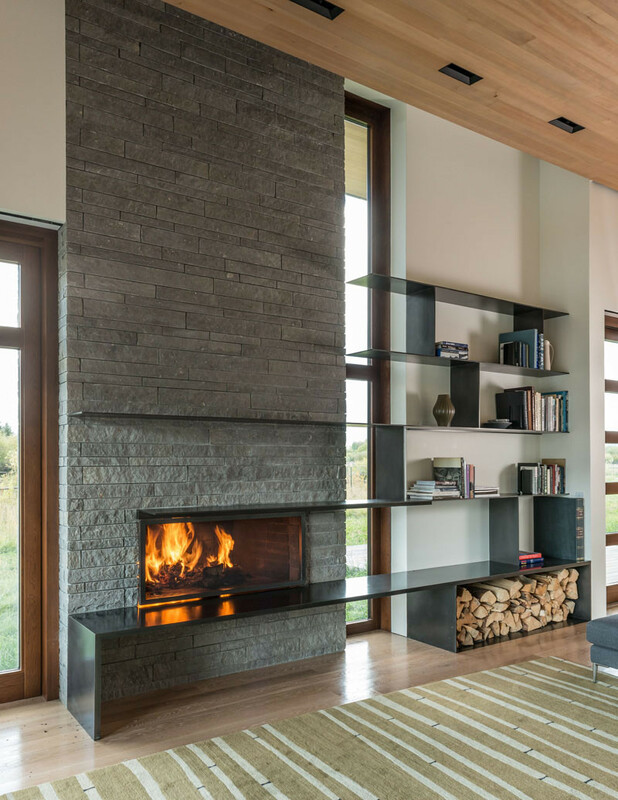 Designed by Sparano + Mooney Architecture. Photography by Dustin Aksland. 11. 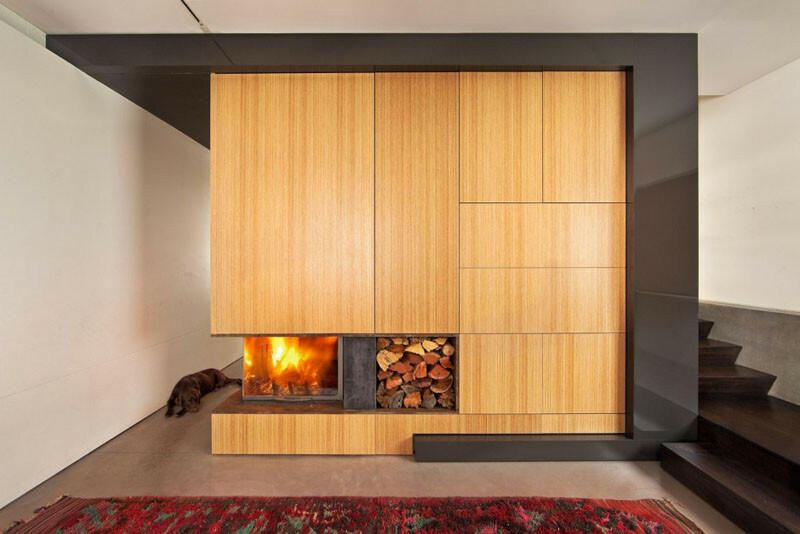 This rectangular form that houses the fireplace also has storage spot for firewood. Designed by C.F. Møller. Photography by Julian Weyer. 12. 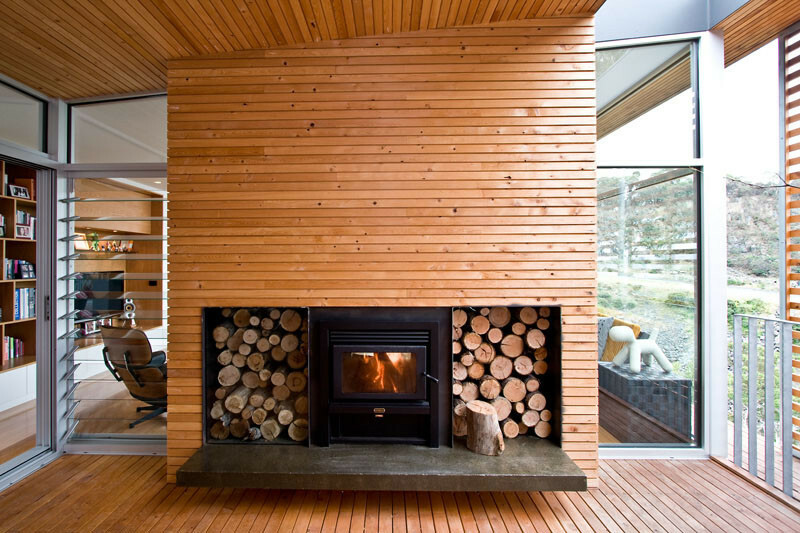 This fireplace has a dedicated wood storage space that can be stacked high. Designed by Ki Design Studio. 13. 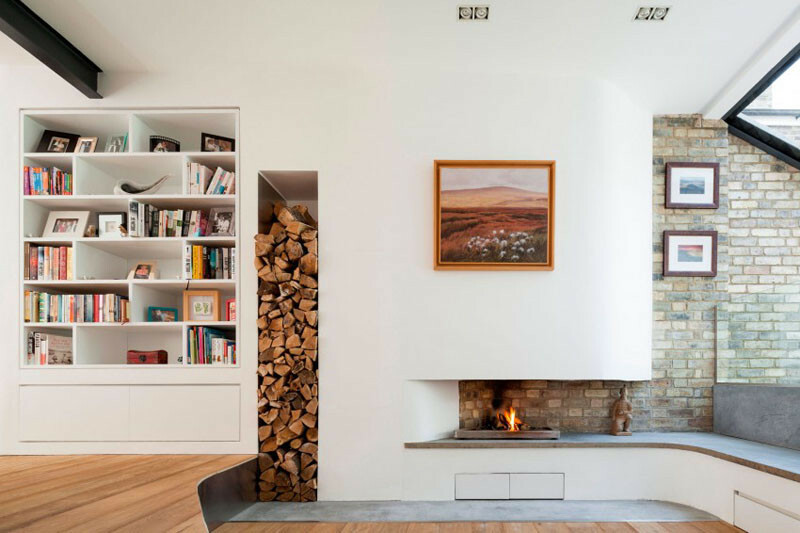 The wood storage flanks either side of this fireplace. Designed by Room11. Photography by Ben Hosking. 14. 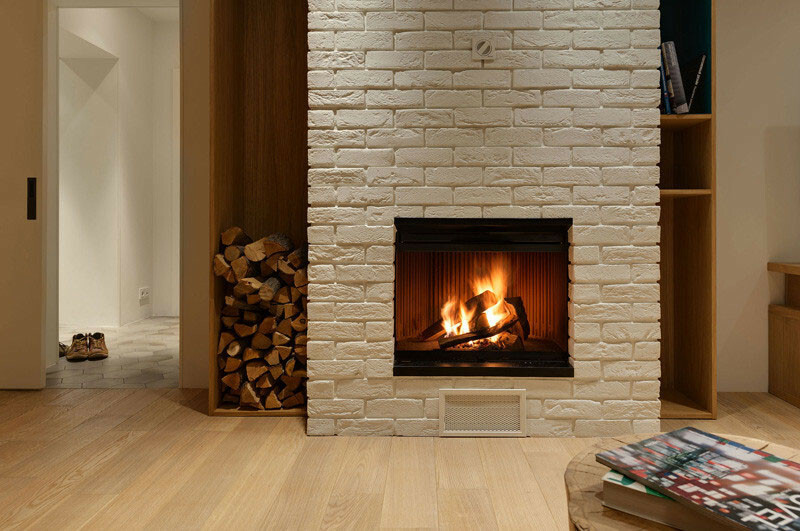 Here’s a small dedicated storage spot right next to the fireplace. Designed by Superkül Architects. Photography by Tom Arban.